Knowledge management (KM) has been gaining momentum as the means toward organisational growth. 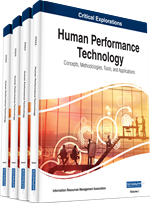 Recent literature also gives much prominence to emerging performance measurement (PM) systems for assessing performance. This chapter comprehends the concepts of integrating KM with PM, and in short, KM performance measures in organisations. It reviews the issues that surround KM/PM initiatives, and discusses the assessment criteria that integrate the philosophy and the principles of total quality management (TQM) with KM performance measures. Five KM/PM enablers/criteria are identified, namely 1) senior management leadership, 2) management by processes, 3) people development, 4) continuous improvement, and 5) results orientation. These concepts are constituted the development of an integrated knowledge management (IKM) model for assessing organisational KM performance. Future research could evaluate the efficacy of the IKM model, validate the key KM/PM criteria, and develop an implementation framework to foster the KM/PM efforts in organisations in different sectors. Interests on performance measurement (PM) in organisations have notably increased in the last two decades (Pun and White, 2005; de Lima et al., 2009; Yiu et al., 2013). Measurement systems incorporating financial and non-financial measures have been a topic of considerable interest to both business practitioners and academics (Taticchi and Balachandran, 2008; Taticchi et al., 2010). It has been reported that knowledge and its management has linked to organisational performance and strategy (Pun and White, 2005; Yiu and Sankat, 2012). There has also been an increasing recognition on the importance of intangible assets (expertise, experiences and patents) to the performance of any organisation (Wong and Aspinwall, 2005; Migdadi, 2009; Ma and Yu, 2010). Over the past two decades, knowledge management (KM) has progressed as a strategic management concept drawing from various disciplinary areas (Pillania, 2009). It has also emerged as a phenomenon with wide-ranging implications for organisational performance and competitiveness (Heisig, 2009; Serenko and Bontis, 2009; Yiu et al., 2013). Knowledge is recognised as a vital resource and source of competitive advantage (Maqsood et al., 2007; Migdadi 2009), and knowledge management (KM) is a key differentiator (Sujatha, 2007; Ho 2009; Wei, Choy, and Yew 2009). KM involves the design, review and implementation of both social and technological activities and processes to improve creating, sharing and applying/using knowledge (Standards Australia, 2005). The challenges for today’s organisations are to 1) match and align performance measures with business strategy, structures and corporate culture, 2) deploy the measures so that the results are used and acted upon, and 3) integrate KM with performance measurement (PM) to attain sustainable competitive performance (del-Rey-Chamorro et al., 2003; Pun and White, 2005). Without measurable success, enthusiasm and support for KM is unlikely to continue. Bose (2004) contends that the best and most logical approach to measuring the impact of KM on an organisation’s performance is to tie-in measurement of KM with the organisation’s overall PM systems. Meanwhile, many organisations have been adopting the philosophies of total quality management (TQM) and business excellence (BE) to foster their performance goals (Chin and Pun, 2002; Lyons et al., 2008). De Gooijer (2000) argues that the resolution of PM problems lays in two areas: linking KM to the overall business performance framework and organisational culture change. Besides, it is widely recognised that using performance metrics would help management and stakeholders to quantify KM capabilities and embed them in the policy, strategy and implementation processes of their organisations (Bose 2004; Yiu, 2012). Development of performance metrics for KM began in recent years and various metrics are being applied by forward-looking organisations. Many researchers (e.g. Ho (2009) and Zack et al. (2009)) argue that a viable KM approach with well-defined metrics would help organisations to measure and monitor their performance. Various models, frameworks and approaches had been postulated pertinent to KM, PM and their integration (e.g. Sasson and Douglas, 2006; Heisig, 2009; Khatibian et al., 2010; Yiu et al., 2013).